MARTHA DANDRIDGE married into great wealth when she was 17, to a man twenty years older than she. He died seven years later, leaving her a fortune and two children to raise. Shortly thereafter she met George Washington, a commander of the First Virginia Regiment in the French and Indian War, and former member of the House of Burgess, representing Frederick County. 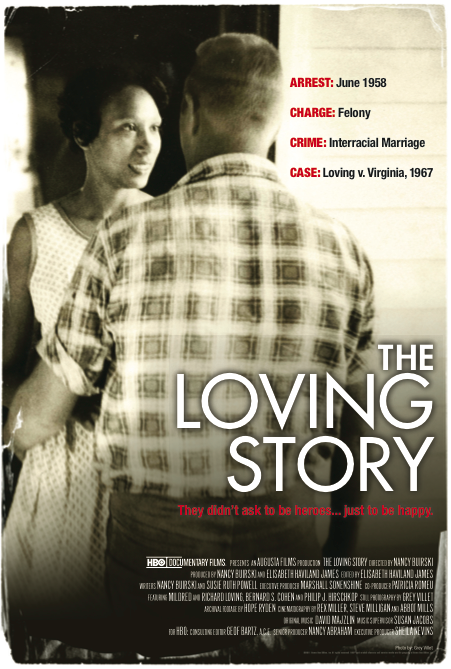 They were married seventeen years before the rebellion that made America. When he became President, Martha Washington did not attend his inauguration. Her husband's personal secretary wrote certain rules of protocol based on European royal traditions, which among other restrictions forbade her or her husband from accepting any invitations to dine in private residences other than their own. She had few friends in the newborn nation's temporary capitals where they lived -- New York and Philadelphia -- but she held formal dinners at the President's residence once weekly on Thursdays, and opened their home to selected members of the general public on Fridays. She was disappointed that even such mundane errands as going shopping or taking her grandchildren to a park were intruded upon by reporters detailing her every move. She told a niece that "many younger and gayer women would be extremely pleased" to be the President's wife, but that she would "much rather be at home". After her husband's death, she did not attend his funeral. In his will, he freed half his slaves, rendering the remainder as his wife's property, but shortly after his death the widow Washington freed all the family's remaining slaves. In 1802, shortly before her own death, she burned many of his personal letters. Sister: Anna Maria Dandridge Bassett "Fanny"
Son: John Parke Custis "Jack"
Daughter: Martha Parke Custis "Patsy"
For the comic book character from Frank Miller's Give Me Liberty, see Martha Washington (comics). Chestnut Grove, New Kent County, Virginia, U.S.
Martha Washington as she appears in the National Portrait Gallery in Washington, D.C.
Martha Dandridge was born at 10:35 a.m. on June 2, 1731 on her parents' plantation Chestnut Grove in the British colonial Province of Virginia. She was the oldest daughter of Virginia planter and immigrant from England John Dandridge (1700–1756) and Frances Jones (1710–1785) of English, Welsh and English descent. 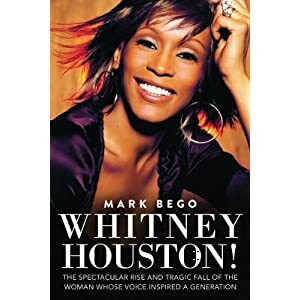 Martha had three brothers and four sisters, the others being John Dandridge (1733–1749), William Dandridge (1734–1776), Bartholomew Dandridge (1737–1785), Anna Marie "Fanny" Dandridge Bassett (1739–1777), Frances Dandridge (1744–1757), Elizabeth Dandridge Aylet Henley (1749–1800), and Mary Dandridge (1756–1763). She may have had an illegitimate half-sister (date of birth unknown), who was a slave: Ann Dandridge Costin was one-quarter African, one-quarter Cherokee Indian, and half-white. There is further evidence of an illegitimate half-brother Ralph Dandridge (date of birth unrecovered), who was probably white. 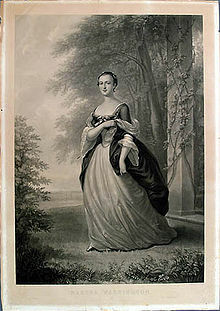 On May 15, 1750 at age 18 she married Daniel Parke Custis, a rich planter two decades her senior. They lived at White House Plantation on the south shore of the Pamunkey River, a few miles upriver from Chestnut Grove. She had four children by Custis. A son and a daughter, Daniel (1751–1754) and Frances (1753–1757), died in childhood, but two other children, John (Jacky) Parke Custis (1754–1781) and Martha ("Patsy") Parke Custis (1756–1773) survived to young adulthood. Daniel Custis' death in 1757 left Martha a rich widow, with independent control over a dower inheritance for her lifetime and trustee control over the inheritance of her minor children. Martha Dandridge Custis, aged 27, and George Washington, aged nearly 27, married on January 6, 1759 at the White House plantation. It seems likely that Washington had known Martha and her husband for some time. In March 1758 he visited her at White House twice; the second time he came away with either an engagement of marriage or at least her promise to think about his proposal. She was, at the time, also being courted by the wealthy planter Charles Carter. Their wedding was a grand affair. The groom appeared in a suit of blue and silver with red trimming and gold knee buckles; the bride wore purple silk shoes with spangled buckles. After the Reverend Peter Mossum pronounced them man and wife, the couple honeymooned at White House for several weeks before setting up housekeeping at Washington's Mount Vernon estate. Their marriage appears to have been a solid one, untroubled by infidelity or clash of temperament. Martha and George Washington had no children together, but they raised Martha's two surviving children. Her teenage daughter, named Patsy, died during an epileptic seizure, which led John (Jackie) to return home from college to comfort his mother. John later served as an aide to Washington during the siege of Yorktown in 1781, and died during this military service, probably of typhus. After his death, the Washingtons raised two of John's children, Eleanor Parke Custis (March 31, 1779 - July 15, 1852), and George Washington Parke Custis (April 30, 1781 - October 10, 1857). 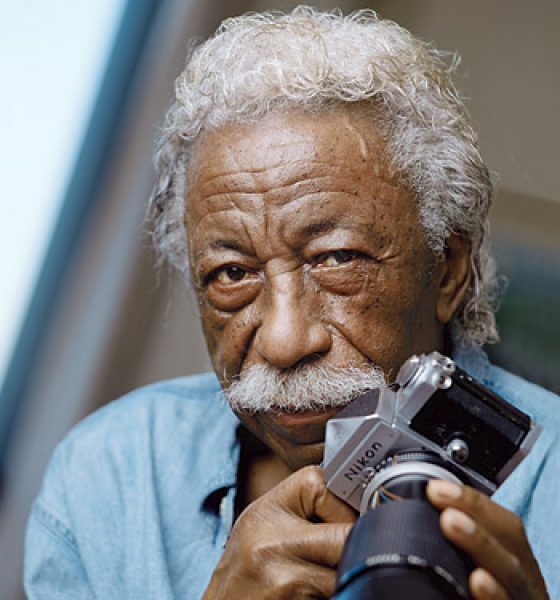 They also provided personal and financial support to nieces, nephews and other family members in both the Dandridge and Washington families. After the Washingtons returned to Mount Vernon, their granddaughter Nelly married George's nephew, Lawrence Lewis. Nelly's first child, Frances Parke Lewis, was born at Mount Vernon. 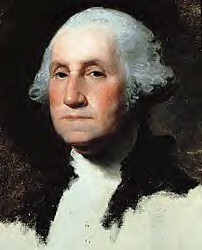 Less than three weeks later, George Washington died, December 14, 1799, after suffering a severe cold. Martha moved out of their bedroom and into a third floor garret room and lived in seclusion, seen only by a few of the remaining slaves and Nelly and her family. Martha Washington burned all but two of the letters she and her husband had exchanged. 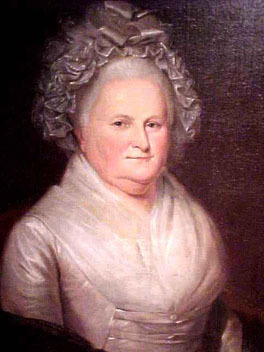 Martha Washington lived until May 22, 1802. Martha Washington is buried with her husband in a tomb at Mount Vernon. George Washington Parke Custis' daughter, Mary Custis Lee, married Robert E. Lee. A part of the Custis estate which had passed through George Washington Parke Custis to his son-in-law was confiscated by the federal government during the Civil War, though the United States Supreme Court eventually found that the government had to reimburse the family. When a ship was named the USS Lady Washington in 1776, it became the first US military ship to be named for a woman and was the only ship the Continental Navy named for a woman. In 1901, Martha Washington became the first woman whose image was depicted on a US postage stamp. The First Lady of the United States is the hostess of the White House. The position is traditionally filled by the wife of the president of the United States, but, on occasion, the title has been applied to women who were not presidents’ wives, such as when the president was a bachelor or widower, or when the wife of the president was unable to fulfill the duties of the First Lady herself. The First Lady is not an elected position; it carries no official duties and receives no salary. Nonetheless, she attends many official ceremonies and functions of state either along with or in place of the president. Traditionally, the First Lady does not hold outside employment while occupying the office. She has her own staff, including the White House Social Secretary, the Chief of Staff, the Press Secretary, the Chief Floral Designer, and the Executive Chef. The Office of the First Lady is also in charge of all social and ceremonial events of the White House, and is a branch of the Executive Office of the President. According to the White House and the National First Ladies' Library, there have been forty-five First Ladies and forty-six First Ladyships. This discrepancy exists because Grover Cleveland served two non-consecutive terms and is counted chronologically as both the twenty-second and the twenty-fourth president; his wife Frances Folsom Cleveland is also counted twice. 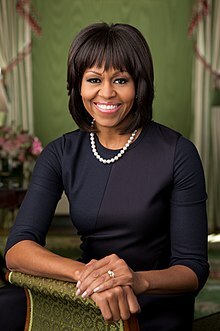 Following Barack Obama's inauguration on January 20, 2009, his wife, Michelle Obama, became the forty-sixth official First Lady, succeeding Laura Bush, wife of former President George W. Bush. There are five living former First Ladies: Rosalynn Carter, wife of Jimmy Carter; Nancy Reagan, widow of Ronald Reagan; Barbara Bush, wife of George H. W. Bush; Hillary Rodham Clinton, wife of Bill Clinton; and Laura Bush, wife of George W. Bush. The first First Lady was Martha Dandridge Custis Washington, married to George Washington. Presidents John Tyler and Woodrow Wilson had two official First Ladies; both remarried during their presidential tenures. The wives of four Presidents died before their husbands were sworn into office but are still considered First Ladies by the White House and National First Ladies' Library: Martha Wayles Skelton Jefferson, wife of Thomas Jefferson; Rachel Donelson Robards Jackson, wife of Andrew Jackson; Hannah Hoes Van Buren, wife of Martin Van Buren; and Ellen Lewis Herndon Arthur, wife of Chester A. Arthur. There is also one woman who was not married to a President but who is still considered an official First Lady: Harriet Lane, niece of bachelor James Buchanan. The other non-spousal relatives who served as White House hostesses or de facto first ladies are not recognised as "official" by the First Ladies' Library and are thus not numbered among the forty-five; the most recent example was Chelsea Clinton who formally assumed her mother's duties from January 3 to January 20, 2001, but did not adopt the style "First Lady". In 2007, the United States Mint began releasing a set of half-ounce $10 gold coins under the First Spouse Program with engravings of portraits of the First Ladies on the obverse. When a President served without a spouse, a gold coin is issued that bears an obverse image emblematic of Liberty as depicted on a circulating coin of that era and a reverse image emblematic of themes of that President's life. This is true for the coins for Thomas Jefferson, Andrew Jackson, Martin Van Buren and James Buchanan's First Ladies, but not the coin for Chester A. Arthur's First Lady, which will instead depict suffragette Alice Paul.